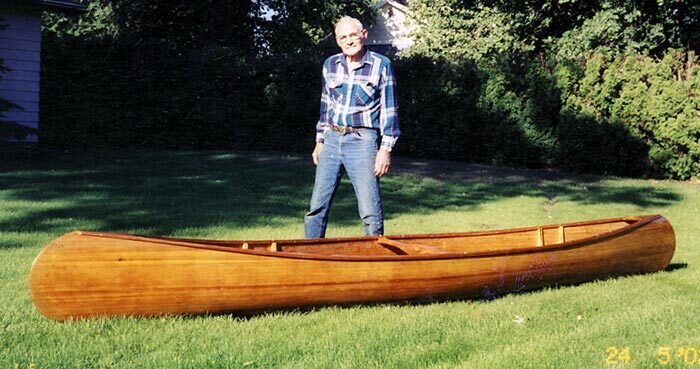 Jerry Sweeney built this 16' cedar strip canoe ABENAKI with plans by David Hazen. It was built from scratch starting with two 18' 1 x 6 rough sawn cedar planks. It will be used in the Yakima and Columbia Rivers near Kennewick, WA.